Water is essential to life. Clean water is one of the greatest public health advances of the 20th century. The federal government’s Clean Water Act has made great advances in years since it was passed, we still have a long way to go. Thousands of Americans still become ill each year from contaminated drinking water and in the 21st century, the most vulnerable, low income communities, communities of color do not have full and equal access to clean, safe water. 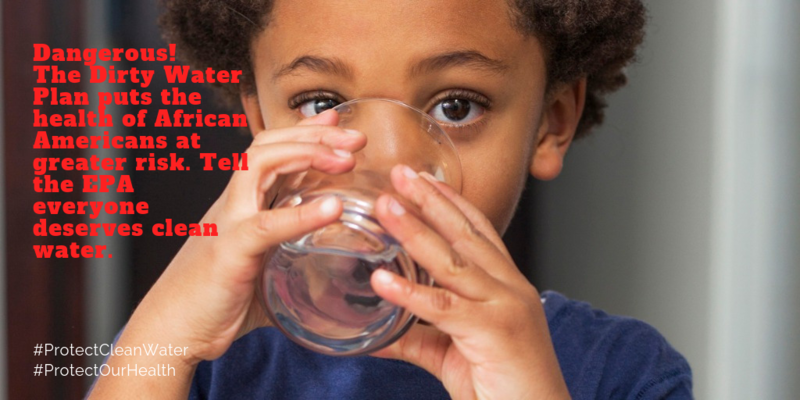 African Americans, in both urban and rural settings, are often hit the hardest and are disproportionately impacted by contaminated tap water causing a variety of serious health problems, especially for children. 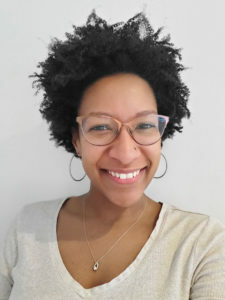 I’m a Philadelphia based nurse concerned about access to clean water. Late last year, a group of health professionals including nurses like myself, community members, and clean water advocates appropriately met at one of the nation’s oldest surviving botanical gardens in the country—Bartram’s Garden—to discuss how we can work together to address water issues facing the residents of Philadelphia and our surrounding communities. Some of the issues discussed are issues facing most urban and rural communities nowadays including lead testing of water in schools, replacement of lead service lines in local water systems, contamination of water supplies with perfluoroalkyl substances (PFAS), and how recent efforts to roll back the Clean Water Rule could impact water quality in our area. As a group, we were happy to learn that there are efforts to pass bipartisan legislation to address lead in our schools’ drinking water. This year, for the first time, our Philadelphia schools were required to test for lead in drinking water or inform the community that they were not doing the testing. Although lead had been identified previously in school water, this was an active first step toward addressing the lead issue. It is a key step because lead, a toxin that causes brain and nerve damage, is one of the most common sources of water contamination in this country and a heavy health burden on children. African American children are at least 3 times more likely than white children to have elevated blood lead levels. Our group emphasized that having a strong action plan that occurs if levels higher than 5 ppb are identified in the schools was essential to reducing risks of neurodevelopmental harm that can cause lower IQs to children in the schools. Past and present efforts to engage community members in water activities around Bertram’s Garden highlight what a positive impact clean water regulation can have on local waterways. At one time, the water in Philadelphia’s Lower Schuylkill River was so polluted if a child fell in while playing on the banks, it would take hours to scrub them clean. Through efforts such as those mandated by the Clean Water Act, the River is now a source a great natural resource for Philadelphians. However, when the Clean Water Act was originally passed almost 45 years ago, it only addressed navigable water. We now know that animal and human waste, industrial pollution, and waterborne diseases are found in smaller bodies of water not covered by the Clean Water Act and these upstream sources of contamination flow into our rivers and other bodies of water that are so essential to drinking water and recreation. By addressing the contamination in these bodies of water we have a significant opportunity to prevent disease and support the health of our communities here in Philadelphia and beyond. Un fortunately, a much needed update to the Clean Water Act, the Clean Water Rule, is slated for repeal by the Trump Administration. This rule is based on clear science that shows how important upstream sources are to clean drinking water. The Clean Water Rule protects the streams that are the source of drinking water for more than 117 million Americans. There is still much more to be done, but Trump’s Dirty Water Rule will fall back to when fewer protections existed exacerbating the health issues African Americans face when it comes toxic water. While our group will continue to work together to address water and health issues, we need communities throughout the country to join in calling for urgent action by state and national lawmakers. We need everyone to contact the the U.S. Environmental Protection Agency (EPA) before the April 15 comments deadline and tell them not to rollback the Clean Water Rule. Ask the EPA to work with us by fulfilling its mission to protect the public health of all Americans including vulnerable the most communities, especially our children. In March, EPA Administrator Andrew Wheeler said on marking World Water Day, that safe drinking water, plastic pollution and other litter in the oceans, drought in western states, and water infrastructure are among “the largest and most immediate environmental and public health issues affecting the world right now.” If he truly believes what he said, he needs to act accordingly and not dismantle the Clean Water Rule.